Instablur costs £14 for 25ml, and Wonderblur is £16 for 30ml, so they're practically the same price. Both are the silicone-gel feel primers, and when you squirt some product out of the tube, the do look pretty much identical. Wonderblur has a slightly stiffer consistency, and needs a bit more warming in my hands before application than Instablur, but on application, I find Instablur a bit more difficult to work into the skin, whereas Wonderblur melts and blends more easily. I've done the classic half face test with these, and once applied you wouldn't know that I had. Both do a great job to give a smooth look to the skin and detract from lines and imperfections - nothing completely dissappears, but pores and wrinkles move into a slightly softer focus. On that front I really can't choose between the two as the effect it the exact same. When it comes to how my makeup sits on top of the primers, I do happen to have a favourite. Makeup seems to glide that little bit easier over a face primed with Wonderblur - not that It doesn't with Instablur. Wear time with foundation seems to be better for me with Wonderblur too. When wearing half a face of each primer, Instablur cracked first with areas of my foundation disappearing and redness coming through, and it was on the drier areas of my face. Wonderblur is the more hydrating of the two primers, and although I do have combination skin it gets very dehydrated. Overall Wonderblur keeps more of my makeup in place, so that's the one I would repurchase. The main difference between the two primers seems to come down to the skin type that they're more suited to. 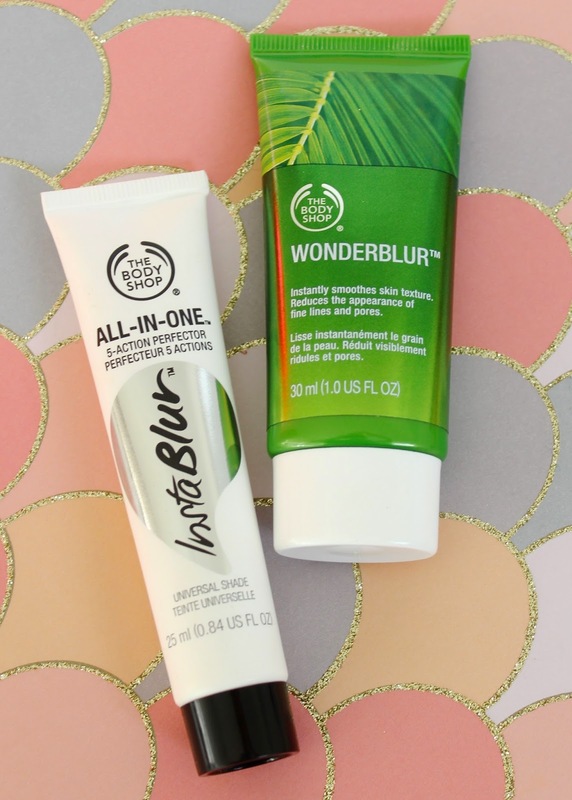 Instablur controls shine, so is probably better for oily combination skin, whereas Wonderblur offers 12 hour hydration, so it's likely to suit dry and dehydrated complexions, but other than that, they both give good results in terms of blurring imperfections and creating a smooth base for foundation. Thanks for this post, I'd seen a few reviews of both and would like to try but wondering which way to go - now I know! Try wearing either one alone -- without makeup. You'll get a much more natural look. My co-workers think I'm wearing foundation!